On Sunday, November 18, we’ll be having our November meeting at 3pm followed by an afternoon of crafting at 3:30. Everyone is welcome to attend our meeting. While this meeting is for members only, we’ll be collecting applications and membership fees from anyone interested in joining. 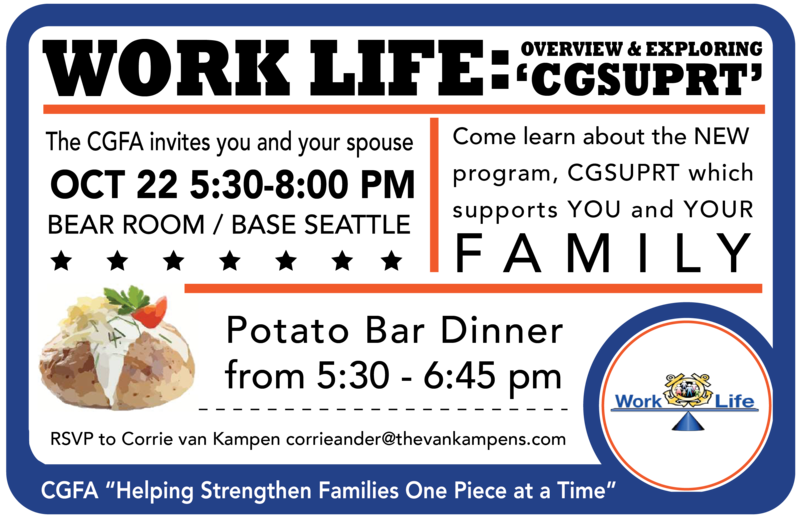 The fee/donation is $10 and that convers your entire family for 12 calendar months. At this event, we’ll enjoy spending peaceful time together making crafts for the Fall holiday. We will be organizing a general craft but also encourage you to bring any other personal craft projects you may want to work on. We will also have a craft table with coloring books and supplies for any kids that may want to attend. Snacks and drinks will be provided but we always welcome those who wish to share baked goods. The Fall weather is officially upon us and we are celebrating it in true Pacific Northwest style … in raincoats. But thankfully the weather showed mercy and kept the rain at bay during our Pumpkin Carving Party at the admiral’s house. D13 Admiral Taylor and Mrs. Taylor graciously opened their beautiful home and property to the district families for a festive pumpkin carving party. Of course bring-your-own-pumpkin bylaws were in effect but some awesome treats, grilled hot dogs, and warm apple cider and hot chocolate were provided for those who attended. It was a fun day! We had a great turn out and several of our families were able to meet each other in person and introduce their children. 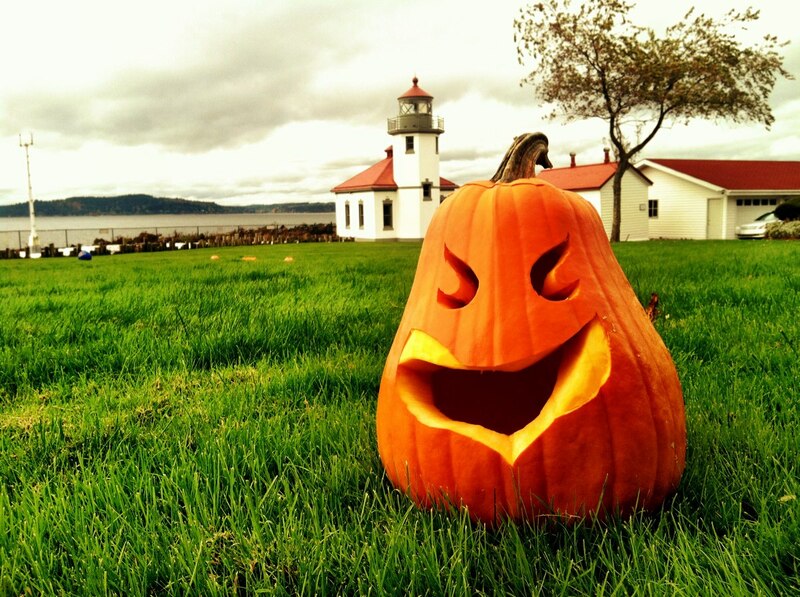 We must say, the pumpkin carving talent in the Coast Guard is definitely apparent. There were some really creative final products. We sincerely thank the Taylors for welcoming us and offering the opportunity to get to know them better. A sense of community is very important to the military lifestyle and our goal at the CGFA is to build on the connections we make through our CGFA planned events and beyond. We want to thank Mrs. Taylor for aiding us in our mission. We hope everyone had a fun and safe Halloween! Stay tuned for updates on future events! The new year for the CGFA has kicked off to a great start! Our first event of the year, the Welcome Summer BBQ at Park on the Lid in Mercer Island, was a great time for the attendees to get together for delicious food and great conversation. 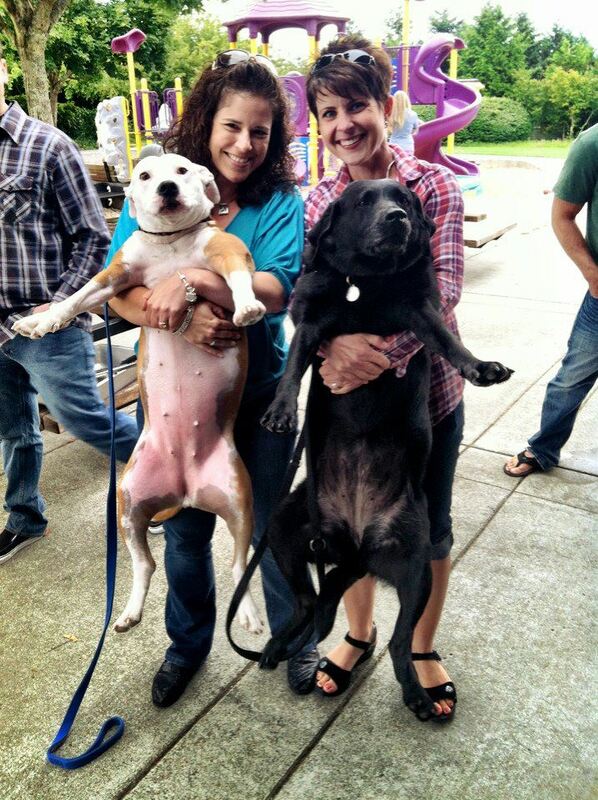 Anne Deines and Annie Rocks enjoy a good hug with their passive pups, Daisy and Rochelle. and around here that’s considered a huge success! The little ones were able to play on an adjacent playground to the picnic area and also had a big field to run around in. We had the softball fields to ourselves for some good ol’ whiffle ball and two sets of Corn Hole generously on loan from two departments on the CGC Midgett. We’re already looking forward to planning next year’s summer picnic and welcoming in even more new friends to the area. 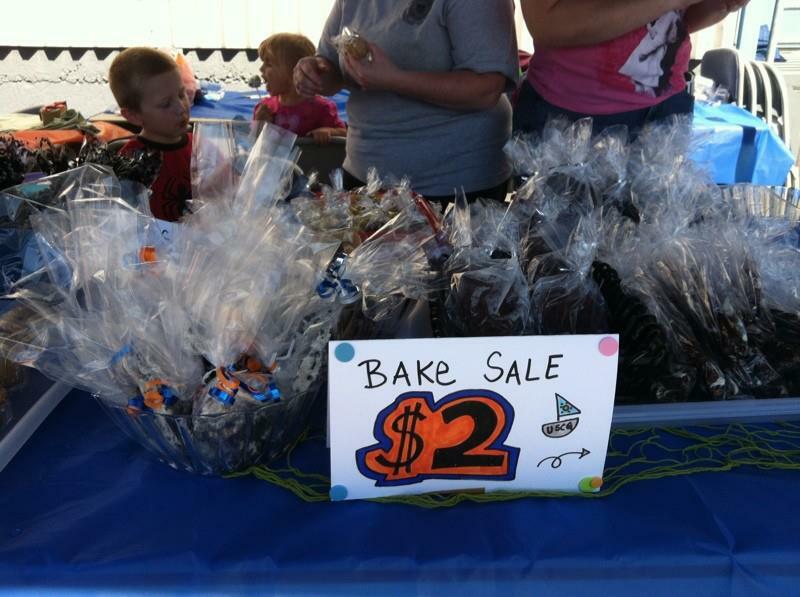 Thank you so much to those who were able to help bake, sell and buy at our annual fundraiser! it was held on August 28th at the base from 10:30am to 12:30 during the college fair. We received a ton of baked goods from our generous members and friends, and also had the help from several volunteers who made this day possible. A special thanks goes out to Layne Brummet, Stephanie Clark, Janet Price, Kat Haberlack, Alicia Jones, Ashleigh Simon and Natalie Simpson for helping sell at the booth. Also, thank you to the CGC Midgett for loaning us FS1 Doug Van Kampen and SN Neil England to help cook the food. We couldn’t have been so successful without the efforts of each person involved and we are very grateful to all of you. Thank you again to everyone for continuing to play such a vital role in the CGFA. We are looking forward to many more events to plan throughout the year. As always, if you have any suggestions for types of gatherings you would like to see us host, we’re open for suggestions. Stay tuned for updates on our upcoming events: Saturday, September 22 is the Welcome Aboard Tea and in October we’ll have a Halloween-themed Bunco night. See you then! The CGFA would like to invite all PACNW Coast Guard families to our summer BBQ to welcome in new transfers! Hot dogs, hamburgers, water and lemonade will be provided. Please bring a simple side dish to share with everyone. 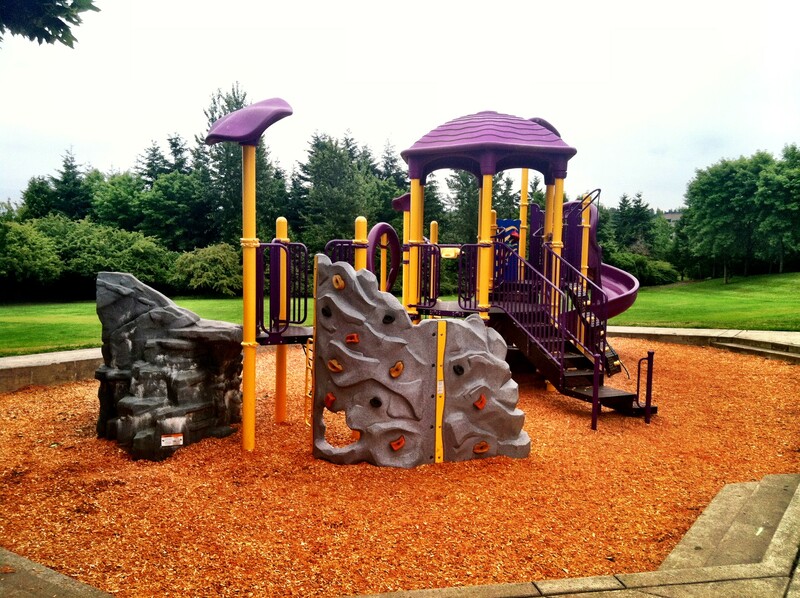 There is a play structure right next to the picnic area with slides, climbing walls, etc, as well as a large field for activities. 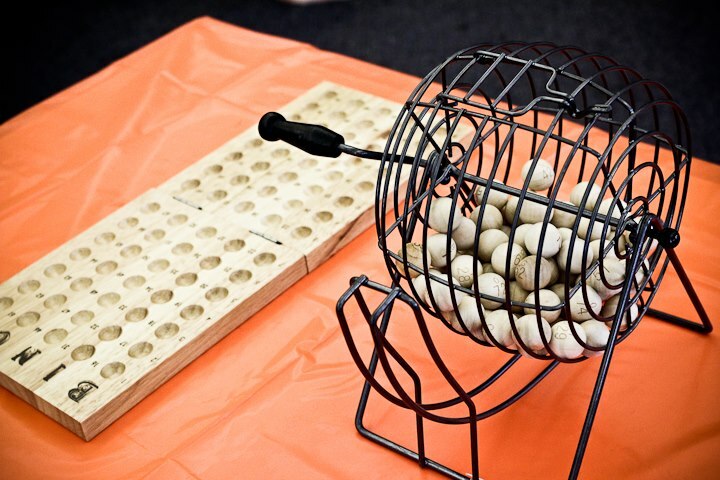 We will have some fun games planned for adults and kids alike with prizes for the winners. The picnic will be held at the covered shelter beyond the baseball fields in the far, right corner of the park. Look for our balloons/posters marking the spot! Sector Puget Sound will be hosting semi-annual Family Town Hall Meetings throughout the area. These are for both service members and their dependants. This is an opportunity for your spouse and children to interact with the Command, meet the Ombudsman (Megan Towle), and learn other valuable information. Special guest speakers include representatives from MWR, EAP Work Life, D13 Legal, USCG Family Association, and United Concordia. Join us for a very informative seminar concerning safety in social media and other forms of communication. This seminar is for everyone. A great evening to hear what is safe to discuss on Facebook, in email, and over the phone. We will have a specialist on OSPEC coming to speak and he is ready to answer all our questions. I encourage all to attend. The CGFA will provide babysitting for those that RSVP the need of a babysitter. If you haven’t seen this yet, I urge you to take a look! This is chocked full of helpful information!! Hope everyone has a fabulous Mother’s Day! !